Croftwood01263 715779work01603 870304fax Self-cateringThis delightful detached single-storey property sits only a short stroll from the village centre which provides a shop and pub. The interior has been tastefully decorated and contains modern utilities and furnishings that make for a comfortable and relaxing stay. Guests can enjoy trips to nature reserves, a number of nearby walks, or can just simply relax in the pretty garden. A single story property set away from the village road, and in its own extensive beautiful gardens, with wonderful long distance views. Croftwood offers weekly bookings starting on Saturday. 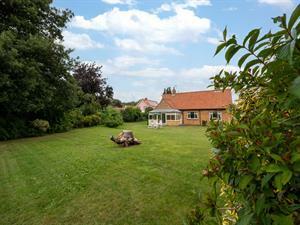 This delightful detached single-storey property sits only a short stroll from the village centre which provides a shop and pub. The interior has been tastefully decorated and contains modern utilities and furnishings that make for a comfortable and relaxing stay. Guests can enjoy trips to nature reserves, a number of nearby walks, or can just simply relax in the pretty garden.